Earlier this year (or maybe it was last year?! At this point in my life, they all kind of run together…) I wrote a post with more than 70 bullet journal ideas. 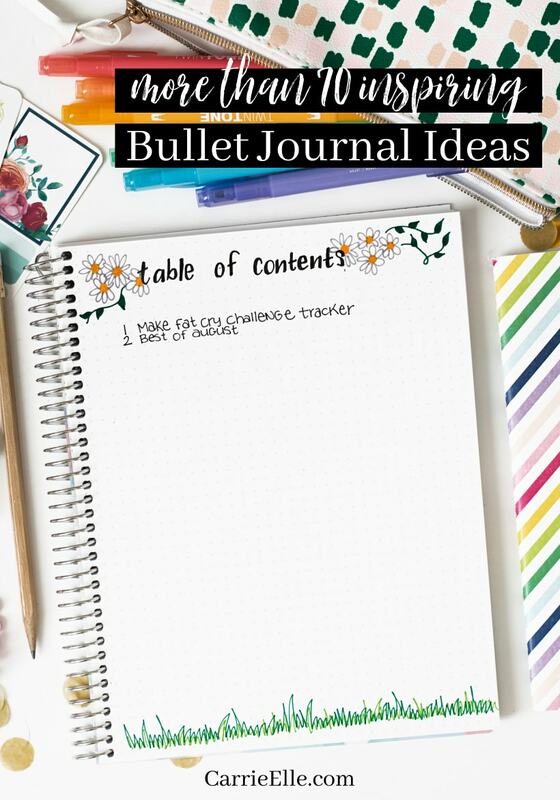 One day, I received a comment on this post from a young girl saying she was looking for bullet journal ideas for kids and I was like YES I HAVE THOSE FOR YOU. Keeping a bullet journal, or an art journal, or even just a diary, can benefit us in so many ways. And that stands true for our kids, too. Whenever my daughter is upset, or worried, I tell her to write it down. Journaling is a great practice – it makes us more creative, it helps us work out our problems, and it can even help shape our future. What a great thing for kid to get involved in, right?! I encourage you to encourage your kids to start journaling at a young age. Here is a sturdy, kid-friendly journal we sell. Here are some bullet journal for kids of all ages. So, what kind of things can kids journal about? Everything. 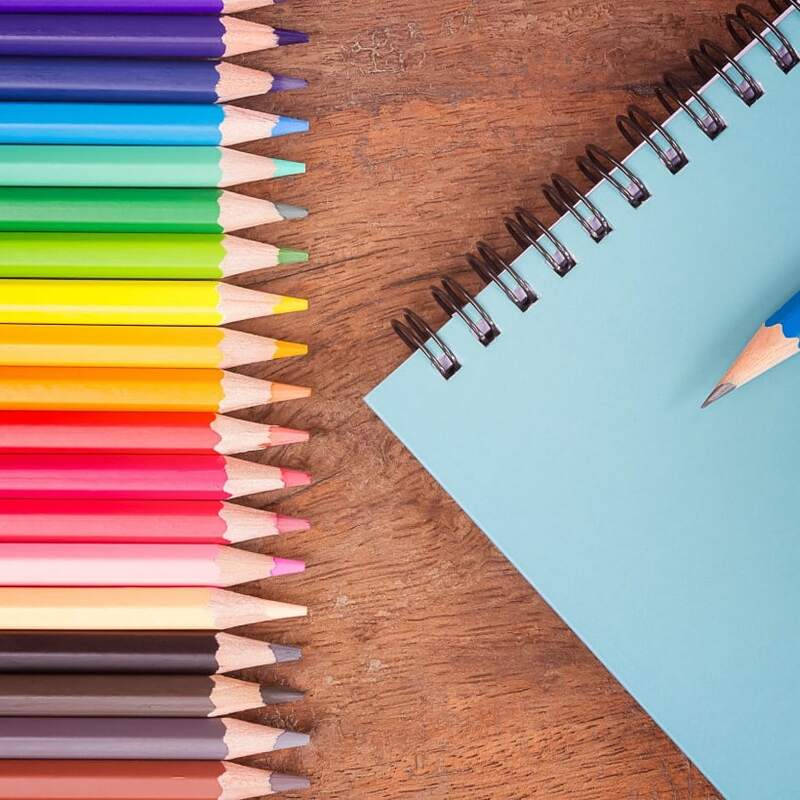 These ideas will hopefully get you (or your child) started and inspired, but I think journaling is something that will evolve and develop as your child does. Encouraging this creativity and giving them a space where they can sort out their feelings without feeling judged or monitored is so important. And while I encourage my kids to write about positive things, I also want them to know that they can let their feelings out on the pages of their journals. Here is a sturdy, kid-friendly journal we sell. But any journal will do (I think right now, my daughter is using a lined notebook I got on clearance at Walmart for $.75). I hope these bullet journal ideas for kids helps your little ones get started on their journaling journeys! Thanks for your ideas! As a father of two little girls, I understand that notebooks are a very important part of their lives. Really! Sometimes I think it’s more important than dinner, toys and myself. I buy them a bunch of new notebooks and various bookmarks. Each of them they paint and lead in their own way. In some record homework. Somewhere just draw. In one write poetry or some of his secrets. Your ideas are very interesting, I will recommend them to my daughters. I think they will be delighted!